Precisely 1,001 days on from that fateful referendum, threats of "a deal or no-deal Brexit" still hang there just eight days from the deadline. This is no way to do grown-up politics. But the crazy mix of an utter lack of a proper Brexit debate in the United Kingdom, and the totally unrealistic expectations of a section of the British political elite, have rendered this lamentable state of affairs inevitable. Let's quickly sum up the state of play as EU leaders gather for yet another Brexit summit in Brussels today. 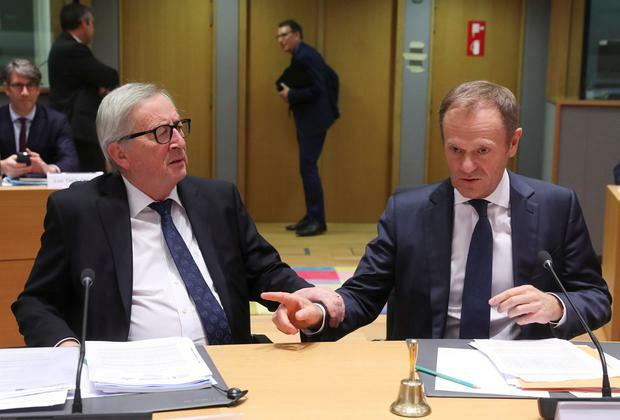 The EU summit chairman, Donald Tusk, has said the bloc could approve Britain's request for a short delay to Brexit - but only if UK MPs next week vote through the withdrawal deal they have twice crushingly rejected. Earlier yesterday, UK Prime Minister Theresa May had asked the EU to delay Brexit from next Friday's deadline until June 30. But all the while those European Parliament elections, due to happen variously across the EU from May 23 to May 26, sit there as an obstacle constraining any extension. Mrs May wants to defer the March 29 departure date to try one more time to get her draft agreement of November 25 last through the necessary parliamentary ratification. She said any postponement beyond the end of June would undermine voters' trust and she ruled out Euro elections. But the policy-guiding European Commission advised EU leaders it would be better to further tighten the delay to Thursday, May 23, the actual date UK voters were due to vote for new MEPs. Alternatively, a much longer delay should happen, until at least the end of 2019, and that would legally oblige the UK to hold elections to an entity it is sworn to abandon. In Brussels last night, diplomats indicated a decision on the delay will probably be delayed until next week - days away from the witching hour. That might, in extremis, require another extraordinary leaders' summit. On the plus side, for those of us dreading a crash-out next week, a spokesman for German Chancellor Angela Merkel welcomed London's "clear request". Germany will "make every effort" to bring about an agreement at this summit. But French Foreign Minister Jean-Yves Le Drian had a much tougher message. He said Mrs May was not able to deliver and an early no-deal might be best. Mrs May addressed her nation on television last night to explain the belated and reluctant acceptance of the delay. She appealed directly to voters in hopes of increasing pressure on her own MPs, and warned Brexit was now at risk. And she still faces the big obstacle of the speaker of her parliament barring that third Brexit deal vote.